On the last Saturday of 2018, Chicago native Green Velvet took the stage at Concord Music Hall with special guest Solardo warming up the room. The Manchester natives impressed the sold out crowd with their only Chicago stop on their 2018/2019 U.S. tour. Solardo infected the Concord with a set packed with tech-house that kept the crowd grooving all night. Although Solardo closed out 2018 with a string of U.S. shows, the duo made all of Europe feel their presence this year, selling out shows in Barcelona, London and Milan. They also started their own radio show named ‘The Spot’ where they hosted Claude Vonstroke and Nicole Moudaber. 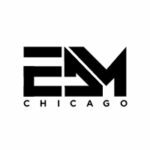 Thank you to Solardo for inviting EDM Chicago to check out the show and for a truly legendary night of music alongside Green Velvet. We are looking forward to a massive 2019 from Solardo!